Chances are, you've heard of John Hopkins, Memorial Sloan Kettering, and the Mayo Clinic. They are three of the preeminent cancer hospitals in the United States. However, you may not have heard of the Huntsman Cancer Institute at the University of Utah in Salt Lake City. 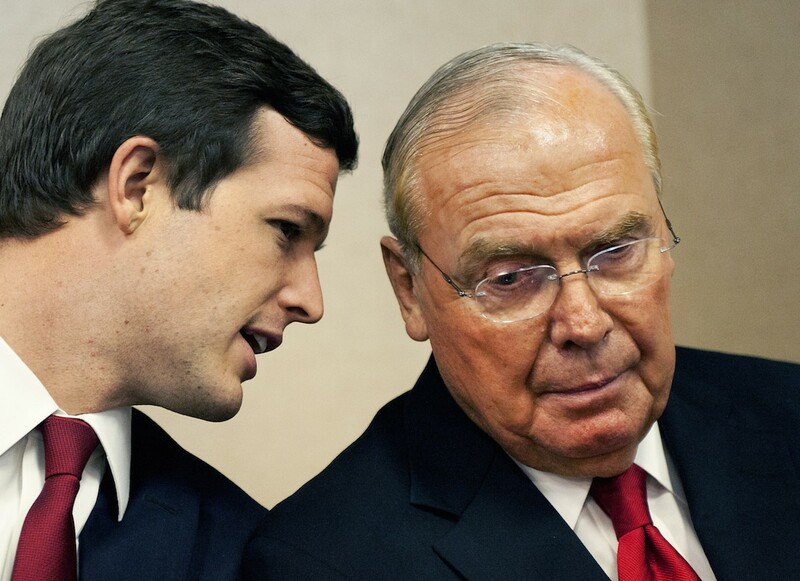 It was started by Utah businessman, Jon Huntsman, Sr., who is a cancer survivor. He has vowed to find a cure for cancer, and he's willing to give away his entire $1.1 billion fortune to make this happen. Jon Huntsman is the founder and chairman of the Huntsman Corporation, a global manufacturer of specialty chemicals best known for creating the iconic Leggs pantyhose egg and fast food clam shell that nearly every food order you place is delivered in. He is also widely known as one of the biggest philanthropists in the United States. In 1993, Huntsman and his wife founded the Huntsman Cancer Institute. As a four-time cancer survivor himself, it was and still is a cause near and dear to him. Since its founding, Huntsman has devoted his giving to the Huntsman Cancer Institute. The Institute was founded to accelerate the work of curing cancer through human genetics. It is one of the U.S.'s few National Cancer Institute designated Comprehensive Cancer Centers with leading edge research labs, a hospital, outpatient clinics, and the world's largest genetic database. The Huntsman Cancer Institute is also the only cancer hospital in the world designed by a cancer patient. "I know there are people in my condition and others similar who can change that and make a difference. I don't like to see people suffering. It breaks my heart when I see people with cancer," Huntsman said. "The cancer institute is a vital part of curing cancer around the world," he said. "People see that it's the largest genetic cancer research center in the world. And they know cancer is going to be cured only through genetics and the study of this disease and why we get it – and how we can terminate it as soon as possible." The 225,000-square-foot Primary Children's and Families' Cancer Research Center will effectively double the research capacity at HCI, which has already earned renown as one of the best cancer centers in the world.